No snow yet - just rain! 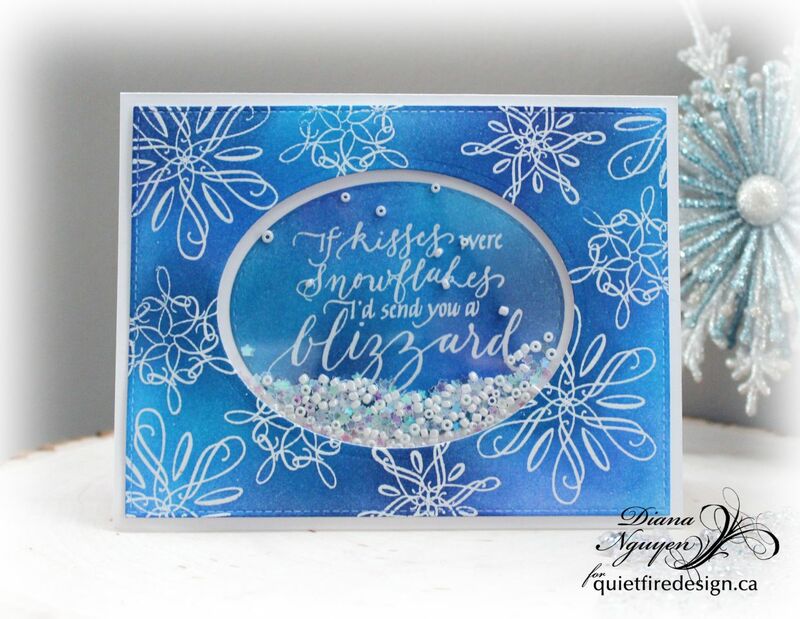 But for those of you who get enough snow as is, you can restrain your blizzard within a shaker card with these new stamps from Quietfire Design. 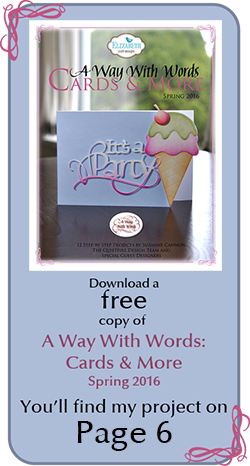 I had so much fun with these stamps using one of my favorite techniques - resist embossing. I first clear embossed the snowflakes from the Let It Snow Flourished Snowflakes stamp set and sponged in different shades of distress inks (Mermaid Lagoon, Chipped Sapphire, and Blueprint Sketch.) 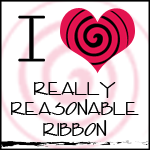 I did the same with the If Kisses Were Snowflakes stamp and die cut out the sentiment with an oval die. 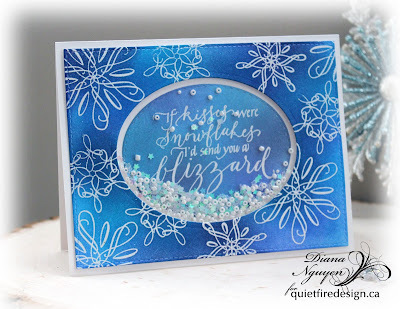 I used a slightly larger oval die on the snowflake sheet to create a window for my shaker card. Using acetate and foam tape, I made my shaker cards with some shaped glitter and white beads.